The LG Nexus 4 was released on 13th November 2012 in many countries like the US, UK, Canada, France, Australia, Germany and Spain. All the Nexus 4 devices were sold out on the first day within a span of minutes. The price of the LG Nexus 4 in US dollars is $299 and $349 for the 8GB and 16GB versions respectively. 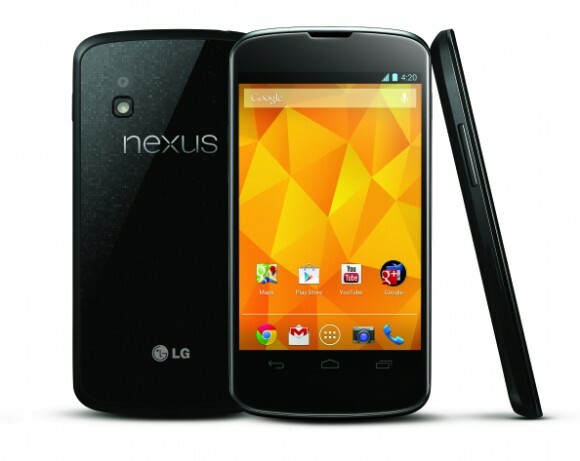 The LG Nexus 4 will feature Google's Latest Android OS 4.2 Jelly bean out of the box. LG E960 Nexus 4 packs in some new hefty hardware, featuring the Qualcomm Snapdragon S4 Pro (APQ8064) chipset. It has a 1.5 GHz Quad-core Krait CPU along with an Adreno 320 GPU (400MHz) capable of delivering QXGA / 1080p resolution. The Nexus 4 has a 4.7 inch True HD display screen, 1280x768 pixels (318 ppi pixel density) which is protected by Corning Gorilla Glass 2, which is 20% thinner for a better touch response. Wireless Charging using any Qi-compatible charger. Full HD 1920x1080 recording @ 30 fps. HTML5 web browser present in the Nexus 4. Li-po (Lithium polymer) 2100 mAh battery. All this stunning hardware plus Jelly bean 4.2 out of the box for a price starting at $299, its a steal. No wonder the LG E960 Nexus 4 is getting sold out in Google Play stores in many countries due to this fact. Hoping for the Nexus 4 to reach India soon. Stay in touch for new updates !